Canterbury jockey Samantha Wynne made a return to the winner’s circle at Riccarton today after a long enforced injury break when getting Diorissimo home first in the opening event at the Canterbury meeting. 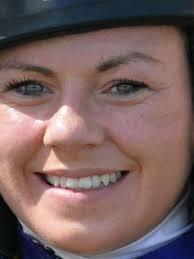 Irish-born Wynne, 30, suffered severe injuries when her mount She’s Fun crashed to the track at Wingatui in May of last year. She was flung from her saddle and trampled by her mount, which left her lying on the track in agony. Wynne’s injuries included ruptures to both her anterior cruciate ligament and her medial collateral ligament in a knee. She underwent an operation last August and was told it may take 10 months before she could resume race-riding. A determined Wynne resumed at the beginning of this month and Diorissimo was her 12th race-ride back and her 285th career win. Diorissimo, is one of six horses prepared at Ashburton by the husband and wife team of Matthew and Sarah Smith and was a Rating 65 horse taking on Rating 72 grade. Wynne settled the Showcasing mare at the back of the small field in the 2000m event and bided her time until the home turn before bringing her down the middle of the track with a nicely timed run to win by 1-1/2 lengths. “They (Smiths) have done a terrific job with her because she was racing out of her grade today and she did it well. It won’t be the last race she wins,” Wynne said. She added that it was great to be back among the winners after such a long layoff. “This is the start of many winners hopefully,” she added.